Unlike Miller and Urey, who believed the early Earth had a reducing atmosphere, scientists today believe the early Earth had a neutral atmosphere composed primarily of carbon dioxide. TheMiller-Urey experiment, conducted by chemists Stanley Miller and Harold Urey in1953, is the classic experiment on the origin of life. It established that theearly Earth atmosphere, as they pictured it, was capable of producing aminoacids, the building blocks of life, from inorganic substances. Now, morethan 55 years later, two scientists are proposing a hypothesis that could add anew dimension to the debate on howlife on Earth developed. ArmenMulkidjanian of the University of Osnabrueck, Germany and Michael Galperin ofthe U.S. National Institutes of Health present their hypothesis and evidence intwo papers published and open for review in the web site Biology Direct. Thescientists suggest that life on Earth originated at photosynthetically active porousstructures, similar to deep-sea hydrothermal vents, made of zinc sulfide (morecommonly known as phosphor). They argue that under the high pressure of acarbon-dioxide-dominated atmosphere, zinc sulfide structures could form on thesurface of the first continents, where they had access to sunlight. Unlike manyexisting theories that suggest UV radiation was a hindrance to the developmentof life, Mulkidjanian and Galperin think it actually helped.? ?Theproblem of the origin of life is such that you have to answer a set ofdifferent questions to explain how life has originated,? says lead author Mulkidjanian. ?We just provide answers to the problem of energetics of the origin of life.? Accordingto Mulkidjanian, the debate about whether life could arise from chemicalreactions began to change when scientists started to question the atmosphericconditions used by Miller and Urey. In their famous experiment, Miller and Ureyreplicated the early Earth atmosphere with a mixture of methane, hydrogen,ammonia and water vapor. This mixture, along with some ?sparks? which simulatedlightning, led to the formation of amino acids. With this setup, Miller andUrey assumed that the early Earth had a reducing atmosphere, which meant it hadlarge amounts of hydrogen and almost no oxygen. 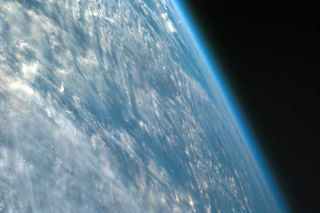 However,many scientists have now abandoned the notion of a reducing early Earthatmosphere. Instead, they believe Earth had a neutral atmosphere, composedprimarily of carbon dioxide, with smaller amounts of nitrogen and hydrogen, similarto the modern atmospheres of Mars and Venus. Researchers who have repeated theMiller-Urey experiment under the new atmospheric assumptions, including Miller,have shown that this new mixture does not produce amino acids. ?After itbecame clear that the origin of the atmosphere was made of carbon dioxide,?says Mulkidjanian, ?there was no physically or chemically plausible hypothesisof the origin of life.? Livingorganisms can exist only if there is some form of energy flow?solar radiationor chemical reactions, for example. ?If youhave an atmosphere of carbon dioxide, you need, in addition, a source ofelectrons to reduce carbon dioxide if you want to make complex compounds,?Mulkidjanian explains. Mulkidjanian?s?Zn world? hypothesis presents a different version of the prebiotic Earthatmosphere?one in which zinc sulfide plays a major role in the development oflife. In nature, zinc sulfide particles precipitate only at deep-sea hydrothermalvents. Its unique ability to store the energy of light has made it popular inmany modern-day devices, from various types of television displays toglow-in-the-dark items (and zinc oxide is used in sunscreen). Its abilityto store light makes zinc sulfide an important factor in the discussion onlife?s origin. Mulkidjanian explains that, once illuminated by UVlight, zinc sulfide can efficiently reduce carbon dioxide, just as plantsdo. To test thehypothesis, Mulkidjanian and Galperin analyzed the metal content of moderncells and found ?surprisingly high levels of zinc,? particularly in thecomplexes of proteins with DNA and RNA molecules. ?We havefound that proteins that are considered ?evolutionarily old? and particularlythose related to handlingof RNA specifically contain large amounts of zinc,? Mulkidjaniansays. Thescientists say the result is evidence that the first life forms evolved in azinc-rich environment. But as the authors indicate in their paper, acceptanceof a new hypothesis for the origin of life will likely require more work,particularly to further describe the nature of life and the chemical reactionsin these zinc-rich communities. ?We cannotexplain fully the properties of modern organisms unless we understand how lifehas originated,? says Mulkidjanian. Forastrobiologists, this new hypothesis presents a considerable shift in thedebate on the originof life. ?If thishypothesis is adopted in the origins of life community, it would represent areal conceptual shift, and so it would be significant,? says NASAastrobiologist Max Bernstein. ?Whether it will be adopted or not eventually Icannot say, but I expect that many will want to see experimental evidence ofthe viability of reactions consistent with the hypothesized scheme underprebiotic conditions. ?